In order to study the relationship between different patterns of childbearing and longevity, we have followed married women in the 1970 Norwegian census for 20 years. 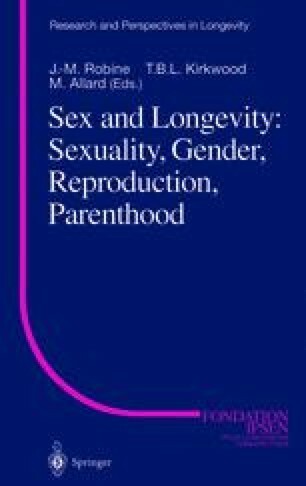 The analysis was restricted to women aged 40–96, married before the age of 40, and with known information about parity, covering a total of 9 116 783 person-years with 149 044 deaths from all causes. Nulliparous women had higher mortality than parous women did in all age groups. Compared with uniparous women, adjusted for age at start of follow-up, years of education, and age at first and last birth, parous women with three children had the lowest relative risk, 0.92 (95% confidence interval: 0.90–0.94). Age at first birth had no impact on mortality. Compared to women with a last birth before the age of 25 years, the mortality was lowest in women with a last birth at age 35 years or more, with a relative risk = 0.89 (95% confidence interval: 0.87–0.92). We conclude that women with few children born late in the fertile period have the lowest mortality rate for the rest of their lives.